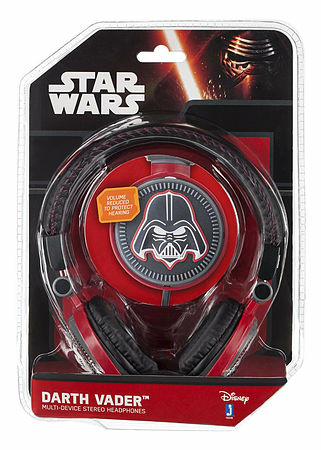 The Star Wars Headphones feature graphics of Darth Vader on the exterior and soft cushioned ear cups, for your comfort, on the interior. The speaker measuring is 40mm in diameter. You will know the power of the dark side with these headphones Compatible with all standard 3.5mm jack iPod, iPad and MP3 players. Box Contains Star Wars Headphones (Darth Vader style).